Cannabis extracts were used for therapeutic and ritual purposes since prehistoric ages. What's next with THC, CBD and terpenes oil, wax and dabs? Last years’ increasing clinical evidence on cannabis' benefits helped in speeding up the unrelenting end of prohibitionism, and encouraged the improvement of cannabinoid extraction techniques. The promise of a legal cannabis market led researchers and entrepreneurs to develop wide arrays of pure, concentrated, and customized forms of cannabis derivatives. These new science-supported resins, tinctures, oils, edibles will probably represent the future of spiritual and medical cannabis. However, we know cannabis plant’s compounds were used for therapeutic and ritual purposes since the human kind came on hearth. Infused concoctions and anointing oils made with botanical preparations have been used since thousands of years, yet the problem with cannabis has always been how to properly dissolve its lipophilic resin without deteriorating some of its precious phytocomponents. The cannabis plant and its parts are both mentioned as a medicine and unearthed as archaeological finds in different regions and cultures across the centuries. The most ancient written documents found on cannabis tell us about steam baths as the first rudimental forms of extracting active principles just by throwing buds on hot stones. From inhaling to ingesting, "bhang" is the most known traditional cannabis edible. This cannabis drink has been used in the Indian subcontinent for centuries. 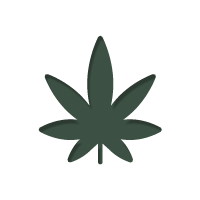 Hashish is the result of a mechanical procedure for extracting trichomes from the plant. Populations from the valleys between India, Pakistan and Nepal gave birth to the most primordial, yet not easy, method of extracting resin from cannabis buds and pack it in a smokable ball. The hand-rubbed Charas is a natural black gold from the Himalayan mountain range, that will survive future hi-tech extractions. Dry sifting is the second ancestral way to produce hashish. Sieving buds by hand (or through a motorized screen), heating and compressing the resulting resin glands (Kief) into convenient blocks of hashish has been, and still is, the most discrete and effective way of dealing with cannabis. Iced water separation is a recent method of extracting trichomes, which requires a little labour. Other techniques are constantly developed, with heat, pressure, static electricity, or even with acoustical dry sieving. Most of the ancient or trendy methods to make hashish can be easily replicated at home. Have fun! Around 1830, Irish physician William Brooke O'Shaughnessy published the first modern Western medicine document on medical cannabis, validating traditional therapeutic uses in Indian regions and recommending cannabis extracts as a treatment for a variety of conditions. Since then, many different cannabis extract recipes crowded the shelves in American and European pharmacies. These concentrates were mostly liquid tinctures made through alcohol extraction. They were actually just evolutions of ancient botanical extraction technologies, finally approved by our official pharmacopoeia up until cannabis prohibition in late thirties. These registered tinctures were simply made by soaking the dried flowers in ethanol or other alcohols, and evaporating the solvent. Today there is no mystery about US and other nations’ intelligence departments experimenting with cannabis concentrates. In United States, some declassified World War II papers showed, that a few cannabis-based preparations were used as a truth serum to facilitate the interrogations. Since the THC effect might not be potent enough for a spy to tell the whole truth to his turnkeys, LSD was also used in order to enhance prisoners’ fantasy during their stay in Cold War American prisons’ basements. According to a bunch of declassified documents, these biochemical techniques were used until late sixties under the CIA program named MK Ultra. Youth movements in late sixties gave birth to a new generation of cannabis scientists. In 1973, the book “Cannabis Alchemy: The Art of Modern Hashmaking” tried to summarize the extraction techniques known so far into a single method for preparing clear amber cannabis “honey”. Alcohol and activated charcoal were the solvents used to extract resin from the plants’ buds and leaves. A few years later, another book named “Marijuana Chemistry: Genetics Processing and Potency” offered a complete overview on various cannabis oil preparations. Several different solvents and extraction processes were analyzed in this first full review of known extraction techniques. This gave a spark to the first homemade experiments with volatile chemical solvents. The butane hash oil extraction procedure gained the best favours, and the word started to spread across a new peer-to-peer communication channel named internet. Butane is actually quite a volatile and flammable gas, so a few first stoners’ houses and basements started to explode. The invention of the closed loop system improved the butane hash oil extraction method and made it safer. BHO is an extremely potent concentrate usually consumed using dabbing rigs or vaporizers. Cannabis butane extraction normally results in a sticky clear wax, that can eventually harden up in honeycombs or shatters. BHO can contain up to 80% THC, which makes these kinds of extracts suitable for treating chronic pain, or other major diseases. A lab test for purity is advised, because BHO can contain traces of butane. Another technique based on hydrocarbons for extracting cannabinoids is Rick Simpson’s method. Also known as Phoenix Tears, Rick Simpson Oil gained popularity among patients seeking for an easy, yet potent homemade cannabis remedy. With Simpson’s method, cannabinoids are extracted from plant matter with pure naphtha or isopropyl alcohol, resulting in a thick liquid suitable for ingestion or application to the skin. In late nineties, the worldwide cannabis liberation movement started to be more and more connected, creating online buzzes about everything cannabis-related, including the extraction techniques. By late 2000, oils, honeys and waxes made their official appearance at parties and contests like the High Times Cannabis Cup. In legal cannabis states, dispensaries have begun selling concentrates next to cannabis buds. Today’s success for ultra refined liquids, oils and dabs is fueling the concentrated extracts industry as a leader in the liberated cannabis market. Starting from 2010, new-born American cannabis companies are seriously investing in improving their extraction devices and methods. A whole new industry standard for cannabis concentrates is today set by the CO2 supercritical extraction process. This expensive industrial extraction method is leading the way in developing safe, pure and effective cannabis oils, thanks to its ability to separate components with maximum precision and minimum waste. Supercritical CO2 extraction method uses carbon dioxide at high pressure to separate plant material, leaving no harmful residues. Budders, shatters, oils and all the other ultra refined preparations are not so expensive anymore, considering their high amount of active principle per gram. These new concentrates can offer the patient a wide choice among different cannabinoid ratios and terpene profiles. Old-school methods were not able to extract all the beneficial phytocomponents from cannabis plant, and/or they were leaving toxic residues in the final product. Traditional hashish and oils should be considered as safe good stuff only when their origin is certain. Adding up to home-grown cannabis, that everyone should be free to grow, the cannabis industry is now fitting any taste, mood or medical condition with full-spectrum, flavour-enhanced extracts. Goodbye skunky flowers.